Why settle for plain department store draperies when Exciting Windows can create a look that is truly customized to your home and personal style? 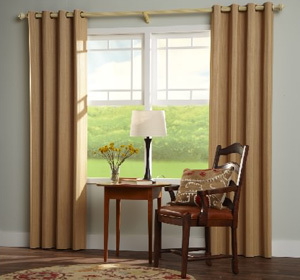 With countless styles in thousands of fabric options, Exciting Windows’ window covering designs, custom draperies, curtains, valances and cornices bring a finished look to your home and are the perfect extension of your personal style. Exciting Windows! 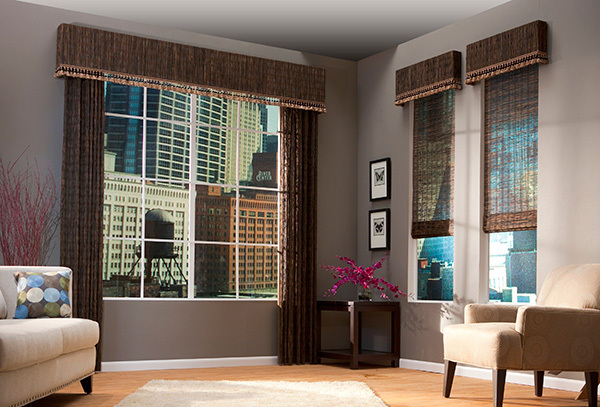 makes all its own draperies, valances & cornices, putting incredible care into the creation of each custom window covering. By making each treatment to order, we ensure that you will receive window coverings that are a perfect fit for your home, style, budget and décor. Whether you like a tailored, lodge, country or contemporary look, rest assured that our designers will create window coverings and other soft treatments that pull your home décor together beautifully. Exciting Windows can customize your window coverings to provide a polished and stylized design for any room. Whether you are looking for decorative side-panels or full operating draperies we have many styles to choose from including: romantic “slouch” draperies, traditional pleated draperies, contemporary euro-pleat, casual tab-tops or ornate bishop sleeve panels to name a few. With thousands of fabric choices, let our inspired designers create the rooms of which you’ve always dreamed. Our custom draperies provide a polished finish to any décor, while offering functional benefits such as insulation, light filtering or relaxing black out. Because we offer several styles of valances in thousands of fabric combinations, Exciting Windows has limitless possibilities for your rooms. Like many of our products, valances are handmade in Colorado Springs by Exciting Windows’ owner, Jaque Peterson, and are installed by our professional installers. 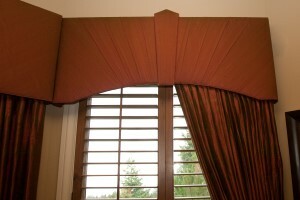 With varied choices such as tailored box pleated, gathered, pleated, arched or angled valances, or romantic and elegant swags or cascades, you can rest assured your handmade valances will add a striking design element to your custom window coverings. Have a wall that needs a little something extra? Why not add a striking architectural element to your home with Exciting Windows’ handcrafted cornices? Made right here in Colorado Springs, custom cornices come in numerous shapes and can be made to fit any size window including bay windows.